Last week we talked about Pop Art and the “appropriation” of common, familiar, images and objects, often borrowed from popular culture. Andy Warhol and Roy Lichtenstein were perhaps the most recognized Pop artists who borrowed images from pop culture. Lichtenstein borrowed from comic strips while Warhol borrowed from advertising and celebrity images. He seemed to understand the the working-class and the allure of glamour and celebrity. Products: Warhol’s early work focused on common consumer-product imagery. These images included objects like Coco-Cola bottles, Campbell’s soup cans, and Brillo soap pads, etc. He seemed to enjoy the fact that the same products he featured were available to everyone regardless of their station in life. Warhol once said, "What's great about this country is that America started the tradition where the richest consumers buy essentially the same things as the poorest. You can be watching TV and see Coca-Cola, and you can know that the President drinks Coke. Liz Taylor drinks Coke, and just think, you can drink Coke too." Over time, his paintings evolved into silkscreen and sculpture which mimicked the mass production of these consumer products. Celebrity: Never before had America been so saturated with images of actors, musicians, political figures, as well as the tabloid stories surrounding them. The popularity of television seemed to make these celebrities more accessible and, in turn, more famous. 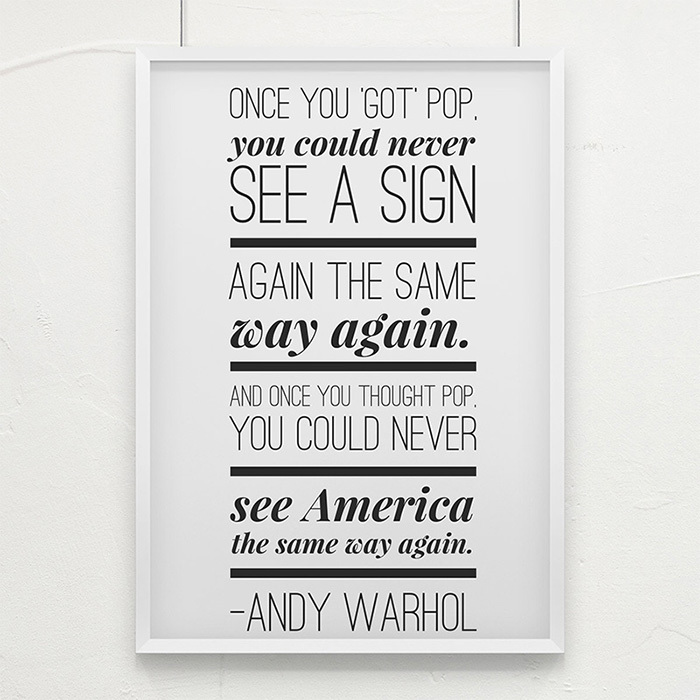 Pop artists embraced this new fascination, and subjects, as a source for their imagery, as well as a statement of the changing culture. Warhol's was fascinated with the glamour of Hollywood since childhood. His attraction and depiction of Hollywood, fashion, and celebrity was a natural progression. His photographic silkscreens of celebrity portraits are iconic. He often created the images in a repetitive manner with washes of bright color, again, as an element of the mass production of celebrities themselves. Over the years, this style has become so iconic I have other people ask for an “Andy Warhol” portrait. Come back next week and we will take a transformative trip across America. May 11, 2018 WHERE IN THE WORLD IS THE REPTILE? Mar 6, 2018 Happy Birthday Michelangelo! Feb 5, 2018 Museum Monday: Museums Closed on Monday? Feb 1, 2018 Happy Birthday Vivian Maier! Jan 12, 2018 Happy Birthday John Singer Sargent! Dec 31, 2017 What is Your One Word for the Year? Dec 23, 2017 Merry and Bright! Jul 17, 2017 Happy Motivational Monday! Jul 9, 2017 Happy 80th Birthday David Hockney! Jul 8, 2017 Happy Birthday Käthe Kollwitz! Jul 6, 2017 Happy Birthday Frida Kahlo! May 26, 2017 Happy Birthday Dorothea Lange! Mar 17, 2017 Happy St. Patrick's Day! Mar 16, 2017 What's In Your In-Box? Mar 6, 2017 Happy Birthday Michelangelo Buonarroti! Jul 31, 2016 What Do You See? Feb 14, 2016 Happy Valentine's Day! Dec 16, 2015 It's Movie Time!! Sep 30, 2015 I Got My Machu Picchu Passport Stamp! Aug 5, 2015 Introducing "Wednesday Wanderings"
Aug 2, 2012 Yard Flamingo Down! I repeat. Yard Flamingo Down! All images © 2012 - 2019 SuZan Alexander. All Rights Reserved.